Combination of “Enterprise Private Cloud” and On-Demand Public Cloud usage for the Business is the way forward for every kind of Organization. 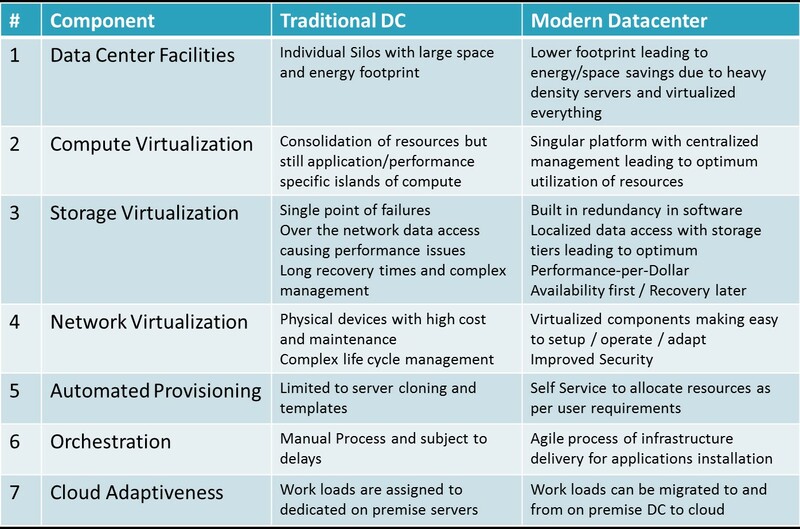 With the ever growing Business needs and ever evolving Data Center Infra Technologies, it is not only important to manage your existing data center but also very important to know the right path to transform your existing Data Center to Modern Software Defined Data Center without impacting any of the Production workloads. Provide support in consolidating infrastructure from scattered infrastructure in different regions to a single consolidated Data Center. 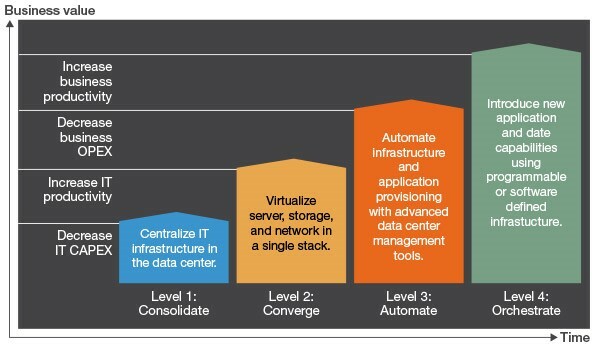 By adding Software Defined attributes to every layer of the virtualized data center framework, we help our customers in bringing the key features including Resiliency, Agility and Automation, to the complete application delivery stack from networks all the way down to applications in a way that not only maximizes, but expands the available resources. We help our customer in transforming their Data Center into True Modern or Software Defined Data Center. In SDDC, total control is exerted by software. That includes Automating control of deployment, provisioning, configuring and operation with software, creating one centralized hub for monitoring and managing a network of data centers. Software also exerts automated control over the physical and hardware components of the data center, including automating power resources and the cooling infrastructure, in addition to the networking infrastructure. Software driven approach also helps in Orchestration of Service Delivery, Service Operations, and Management services in Data Center. Reduce complex IT tasks to a single click, and lessen dependence on IT specialists. Deploy and manage a complete infrastructure stack in minutes. 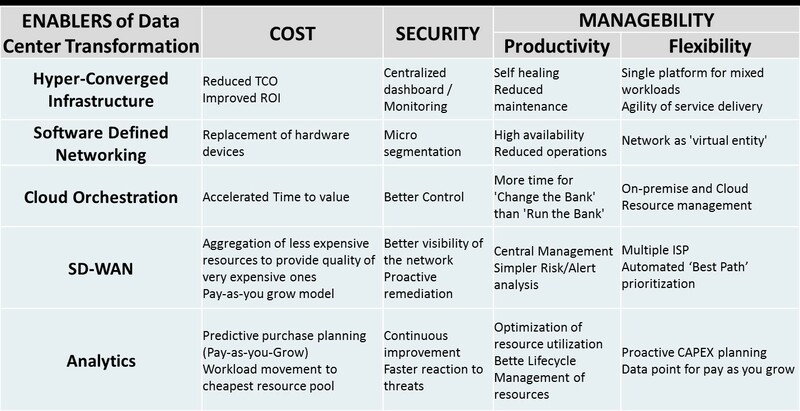 Pick the hardware, hypervisor and cloud that is best for your business.